Everything in this page is a dump of ideas regarding how SkillUp could shape up for an MVP. We are currently prototyping ideas, trying them and out and getting the word out to people. If you are interested in learning more or have comments, questions and suggestions, please email me@dannyforest.com. Early screenshot of App prototype. SkillUp is a Gamified Social Skill-Development Platform for the 21st century. It is an online app where you can find and create quality content to learn new skills in a social setting using gamification, accountability and mentorship components. How does SkillUp solve the problem? By having a mix of proven methods/steps of learning a specific skill, as well as community created and reviewed content. Provide different ways to bring in friends and family. People don’t have THE CONTENT PLATFORM to go to. Youtube is too random, Quora and Medium are limited to text (audio tops), Instagram is a social media platform, Pinterest is lifestyle driven. This should be the default platform, it should be so useful and entertaining, that it becomes a go-to platform for people. With the advent of technologies like AI, a little of people will not be adaptable enough and will lose their jobs. Having only one highly technical skill is only relevant for the top 1% of the elites. It becomes difficult to find the content that fits your needs, from the people who’ve actually done it. How does SkillUp get quality content? We let anyone create learning material for a skill and get it upvoted/downvoted by others who try it. We have a suggestion engine to present the best content for each people based on their personality, interests, and the highly-rated content. People not satisfied with their current life/work situation. People wanting to become polymaths. People looking to accelerate their learning of anything. People seeking entertainment that has value to their personal development. Consumers consume content and the reason why they want to consume more is to utilize their time productively, learn new skills so they can accomplish the goals. In the process they get rewards, following on their own and access to premium membership. Generators Invitation to anyone who objectively feels they can practically and in an entertaining way deliver these skills through bite-size content (text/video/audio/imagery - or all combined. Share and showcase what worked for them, in a useful way. They design and create new bite-size (1-10 minute) content. Both personal and professional development skills. Social currency, they grow their following, build their personal brand, earn money. The more consistent they are, the more rewards they get such as top influencer, top rated, badges, higher percentage of profit and they get featured - Focus on the long-term benefits (recognition). Possibly to give them a way to hack the platform. Or that can be a reward for the top influencer of the month. And strong focus on ability to develop engaging community of generators you follow, people that like the same skills and people that resonate with your brand. How will the product work? Account creation. Pick interests. Quick self-assessment. Offer suggested skills to learn. Offer “templates”. Allow them to create their own if they want. Log progress daily. Provide “notebook” to take notes. List of resources. Ways to quantify and qualify all activities. Ask for help (expert or community). 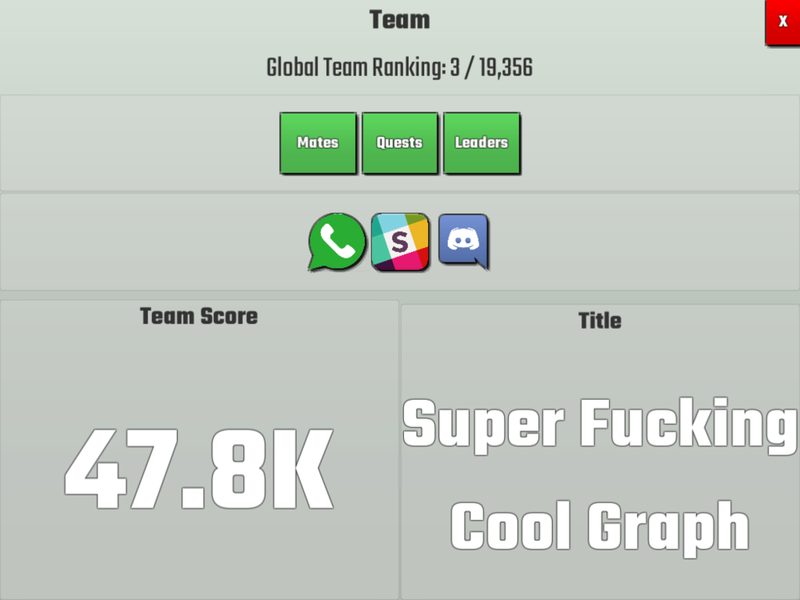 Leaderboards, charts, stats. “Claps” for accountability and gamification. Progress bars. Sharing on social media. Influencers. Claps, influencers, sharing on social media, leaderboards, co-ompetitive. How does it help with accountability? How does it support “mentorship”?